We are delighted to announce the Fourteenth Workshop of Parliamentary Scholars and Parliamentarians, which is to be held on Saturday 27 July and Sunday 28 July 2019. 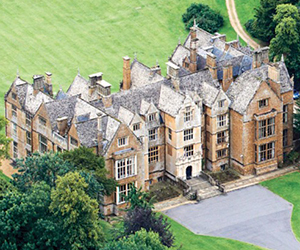 The venue is the same as for earlier Workshops: Wroxton College in Oxfordshire, UK, an ideal venue for international gatherings. The Workshop serves to bring together scholars and parliamentarians – from legislatures around the globe – to discuss research findings likely to be of practical interest to members of parliaments. Topics covered in previous Workshops have included legislative capacity building, the challenges to parliamentary democracy in developing nations, parliamentary accountability, law-making in China, measuring parliamentary performance, the challenge of bicameralism, engaging with the people and the press, the role of committees, parliaments and political parties, voting dissent, the impact of the Internet, freedom of information, parliamentary privilege, legislatures and the courts, ministerial accountability, and the role of independent members. Paper proposals are invited for the 2019 Workshop. We welcome proposals that cover any aspect of legislatures – their development, behaviour, functions and consequences – and present findings likely to have relevance for parliamentarians. Papers that address issues of development, accountability and transparency, are especially welcome, as are those addressing more specifically trust in legislatures, post-legislative scrutiny, and the impact of committees. Papers may be country specific, though papers that present comparative research are encouraged. It is anticipated that there will be a concluding plenary round-table session, led by practitioners, addressing issues of concern to parliamentarians today. Papers should be prepared and submitted electronically at least three weeks prior to the Workshop. Papers are normally 4,000 to 7,000 words in length (though shorter papers are also welcome) and may be considered for publication in The Journal of Legislative Studies. The first Workshop of Parliamentary Scholars and Parliamentarians was held at the Berlin Science Centre in 1994. It was co-sponsored by the Inter-Parliamentary Union (IPU), the Centre for Legislative Studies at the University of Hull, and the Research Committee of Legislative Specialists (RCLS) of the International Political Science Association. 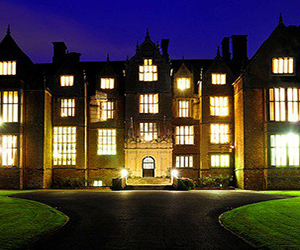 The Centre for Legislative Studies was responsible for the organisation and has remained so ever since. 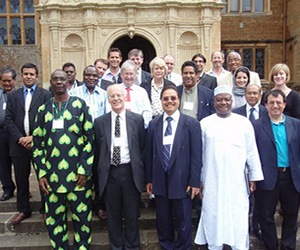 The success of the Workshop led to it being a biennial event, co-sponsored by the IPU and the Centre for Legislative Studies, held from the second Workshop onwards at Wroxton College in Oxfordshire in the UK, an ideal venue for the event. The purpose of the Workshop is distinctive in that it exists to bring together scholars and parliamentarians in order that research findings likely to be of practical use to parliamentarians can be presented and discussed. It provides an opportunity not only for the findings to be presented and discussed, but also for members of parliaments to meet informally with scholars to discuss their research. On occasion, papers are themselves presented by parliamentarians and in recent Workshops the practice has developed of having a plenary session to enable participants, especially parliamentarians, to discuss means of strengthening parliaments. The 2017 Workshop is the thirteenth. 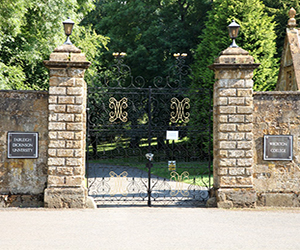 The fourteenth will be held in July 2019, again at Wroxton College.